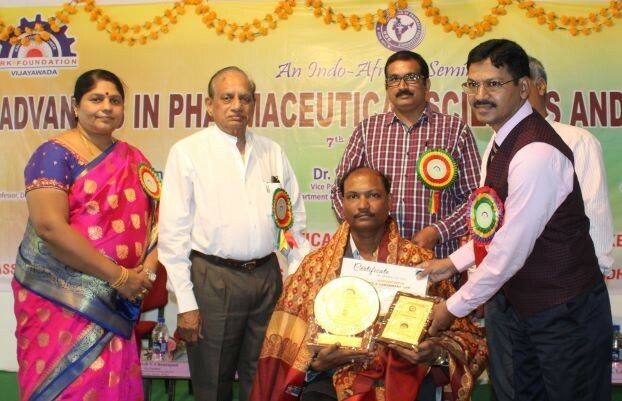 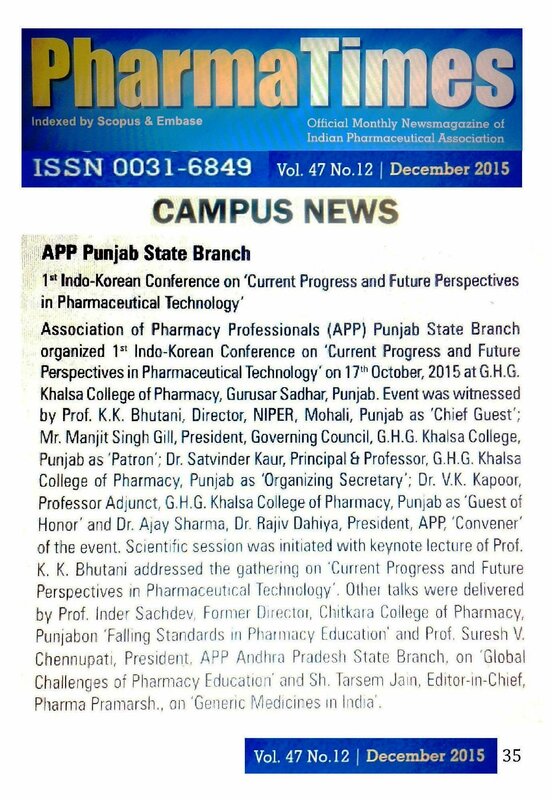 Association of Pharmacy Professionals (APP) Punjab State Branch organized 1st Indo-Korean Conference on ‘Current Progress and Future Perspectives in Pharmaceutical Technology’ on 17th October, 2015 at G.H.G. 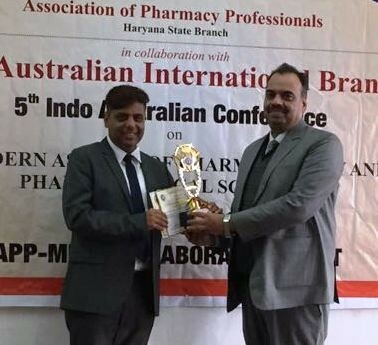 Khalsa College of Pharmacy, Gurusar Sadhar, Ludhiana, Punjab. 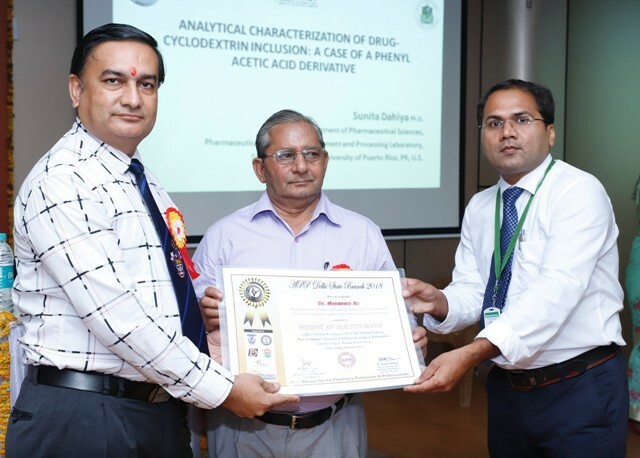 Event was witnessed by Prof. K. K. Bhutani, Director, National Institute of Pharmaceutical Education and Research (NIPER), Mohali, Punjab as ‘Chief Guest’; Mr. Manjit Singh Gill, President, Governing Council, G.H.G. 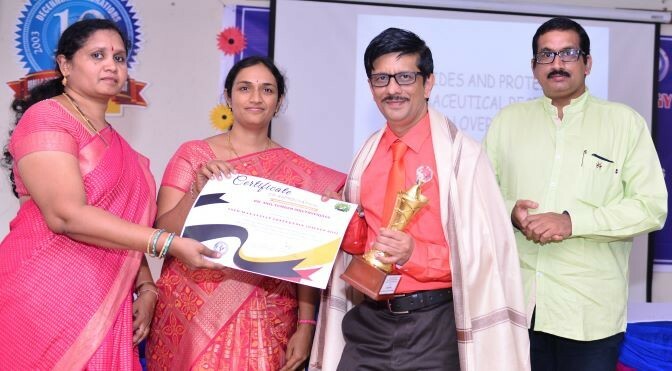 Khalsa College, Ludhiana, Punjab as ‘Patron’; Dr. Suresh V. Chennupati, President, APP Andhra Pradesh State Branch and Principal & Professor, Nova College of Pharmacy, Jangareddygudem, West Godavari, Andhra Pradesh as ‘Co-convener’; Dr. Satvinder Kaur, Principal & Professor, G.H.G. 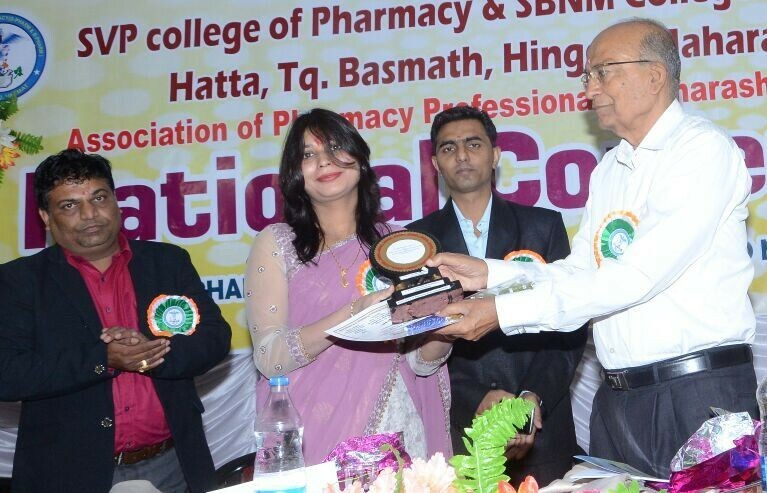 Khalsa College of Pharmacy, Ludhiana, Punjab as ‘Organizing Secretary’; Dr. Inder Sachdev, Former Director, Chitkara College of Pharmacy, Rajpura, Punjab as ‘Special Guest’ and Sh. 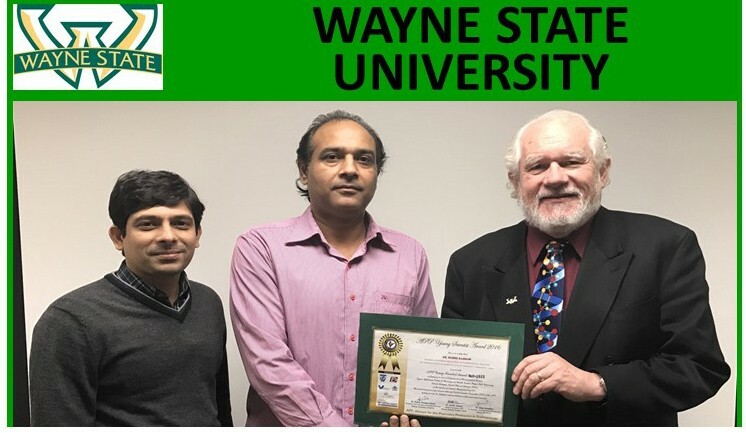 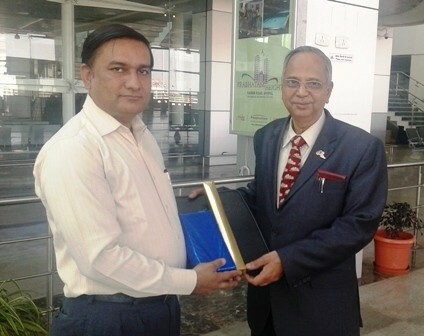 Tarsem Jain, Editor-in-Chief, Pharma Pramarsh News Magazine, Rohtak, Haryana as ‘Guest of Honor’ along with Prof. V. K. Kapoor, Professor Adjunct, G.H.G. 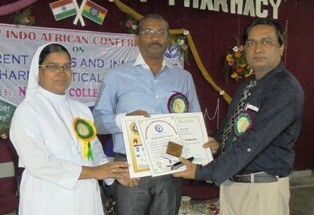 Khalsa College of Pharmacy, Ludhiana, Punjab. 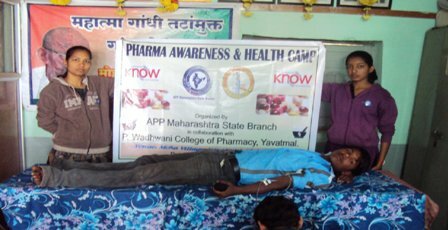 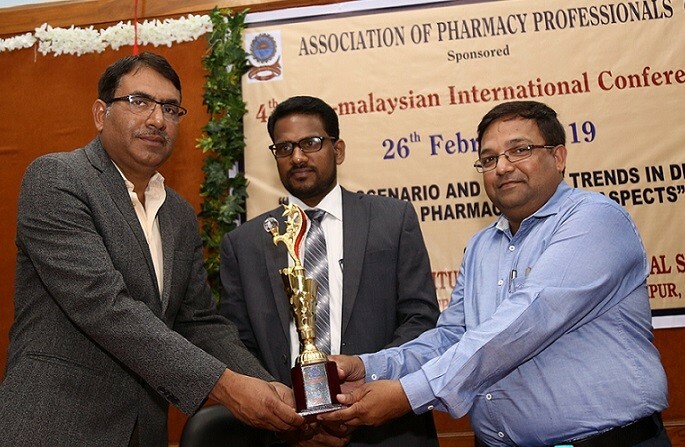 Further, Dr. Rajiv Dahiya, President, Association of Pharmacy Professionals and Professor, Department of Pharmacy, College of Health Sciences, Mizan-Tepi University, Mizan Teferi, Ethiopia acted as ‘Convener’ of the event in absentia. 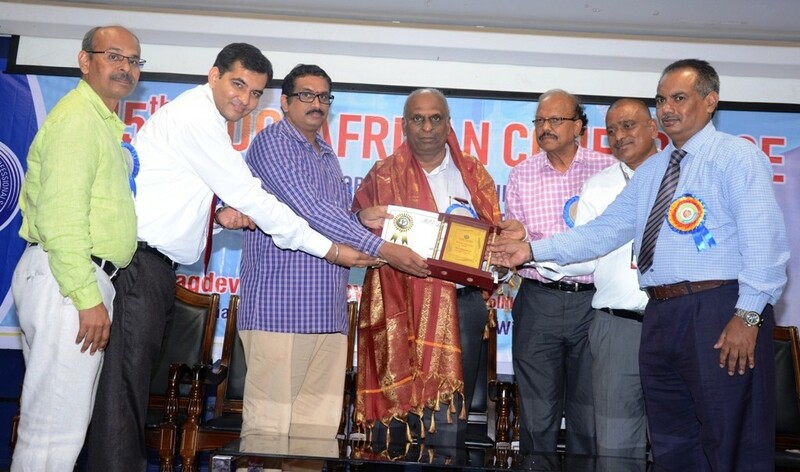 Inauguration was started with ‘Prayer‘ followed by welcome of all the guests on the dias, with bouquet of flowers. 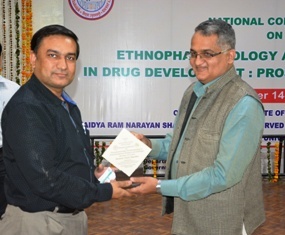 Scientific session was initiated with keynote lecture of Prof. K. K. Bhutani, Director, NIPER, Mohali, who addressed the gathering on ‘Current Progress and Future Perspectives in Pharmaceutical Technology‘. 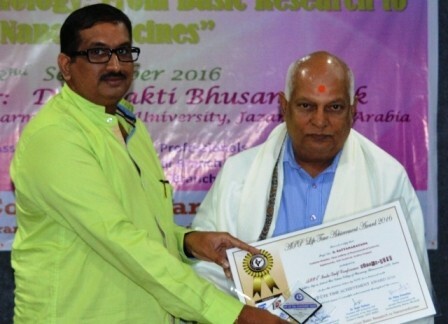 Prof. Bhutani emphasized on the fact that research generates new knowledge as well as forms the backbone for development of individuals as well as organizations. 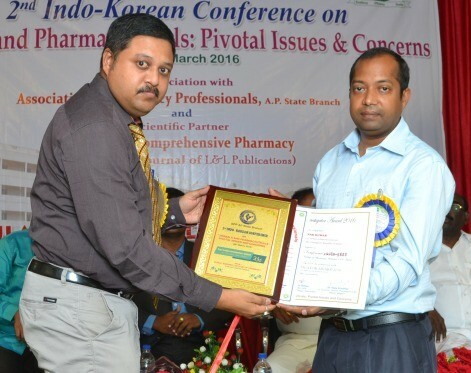 Dr. Ajay Sharma, Postdoctorate fellow, Department of Biotechnology, Laboratory of Plant Molecular Physiology, Yeungnam University, Republic of Korea could not deliver the lecture on the day of event due to some urgent assignment. 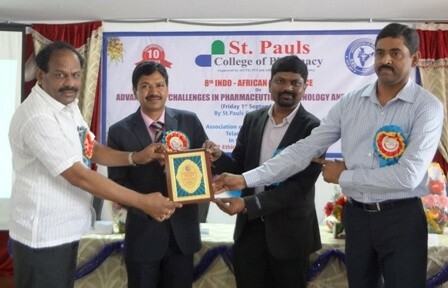 Scientific session was continued with lecture of Dr. Suresh V. Chennupati on the topic ‘Global Challenges of Pharmacy Education‘. 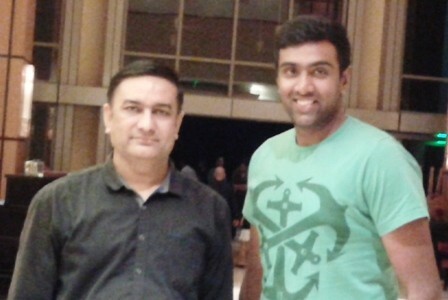 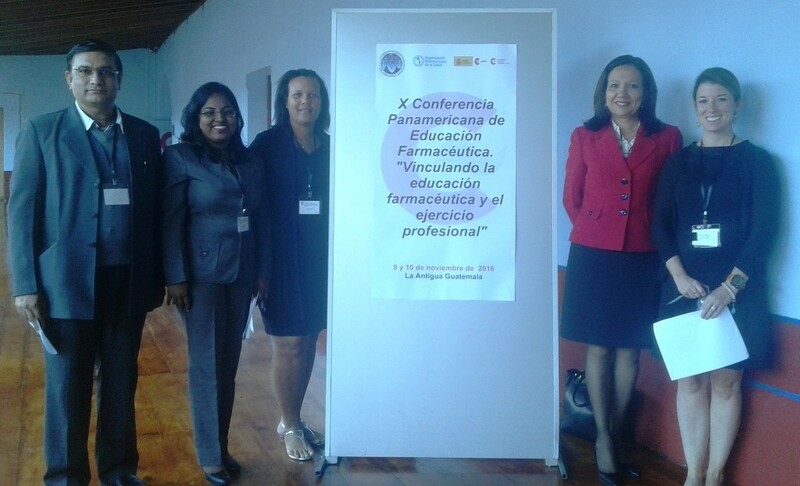 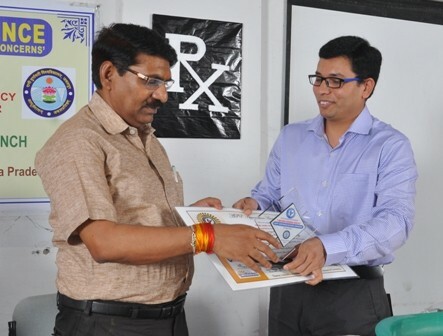 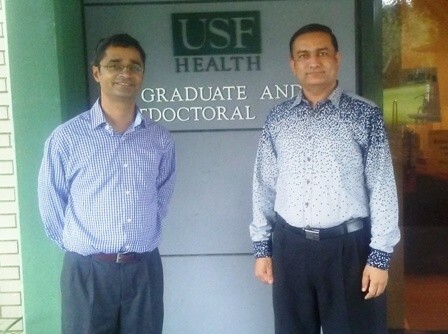 He discussed about the current scenario and flaws in the present system of pharmacy education. 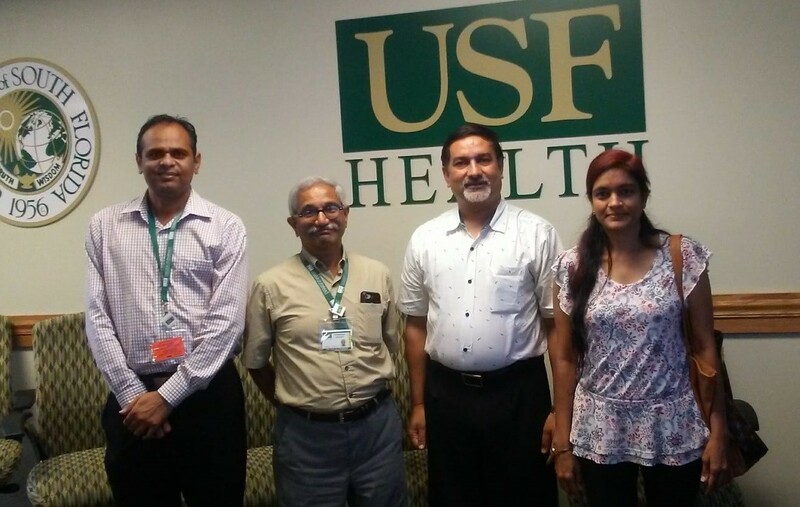 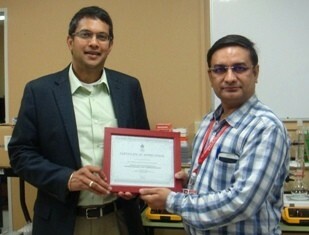 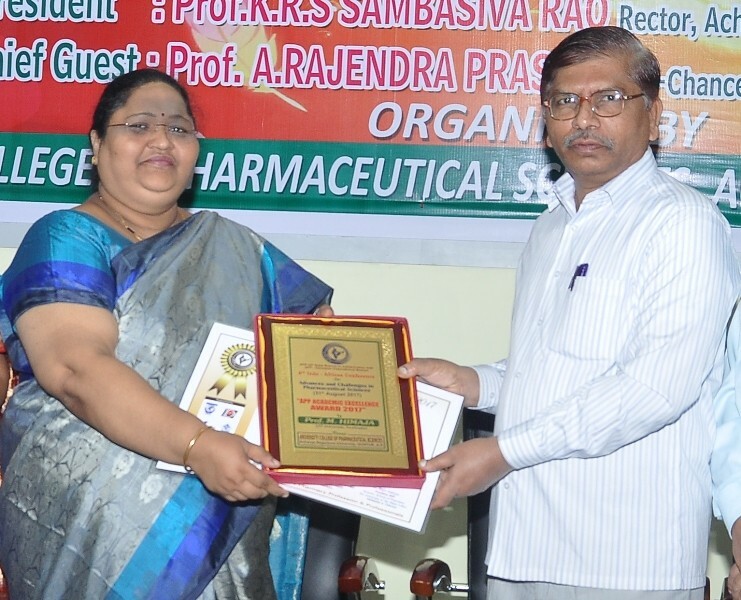 Another invited talk was given by Dr. Inder Sachdev on topic ‘Falling Standards in Pharmacy Education’. 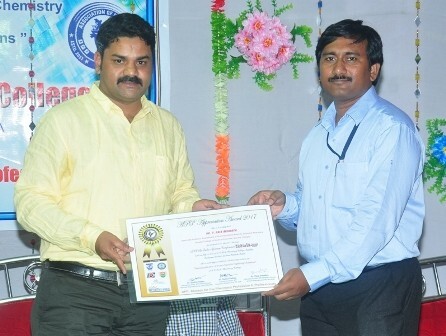 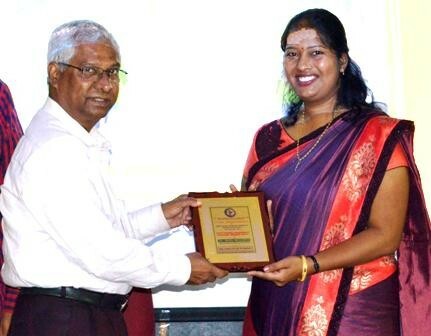 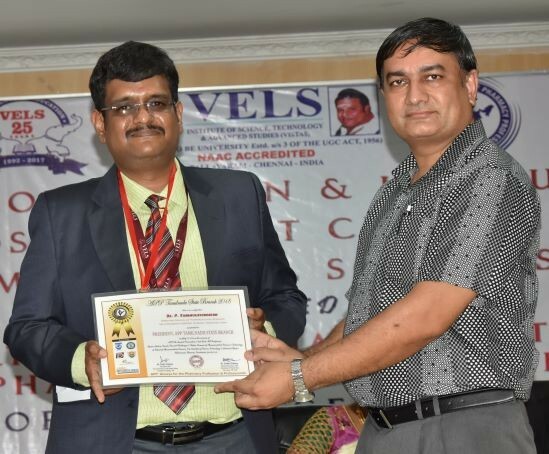 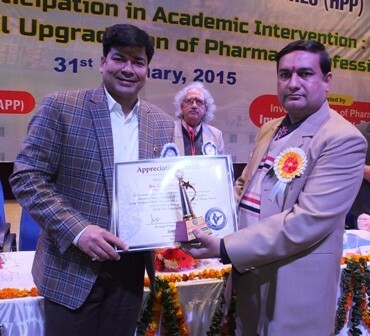 Dr. Sachdev was conferred with ‘APP Outstanding Achievement Award 2015’ for his vital achievements throughout the career. 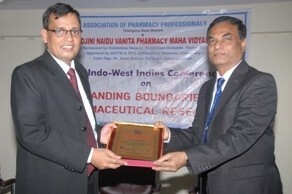 Scientific session was terminated with lecture of Sh. 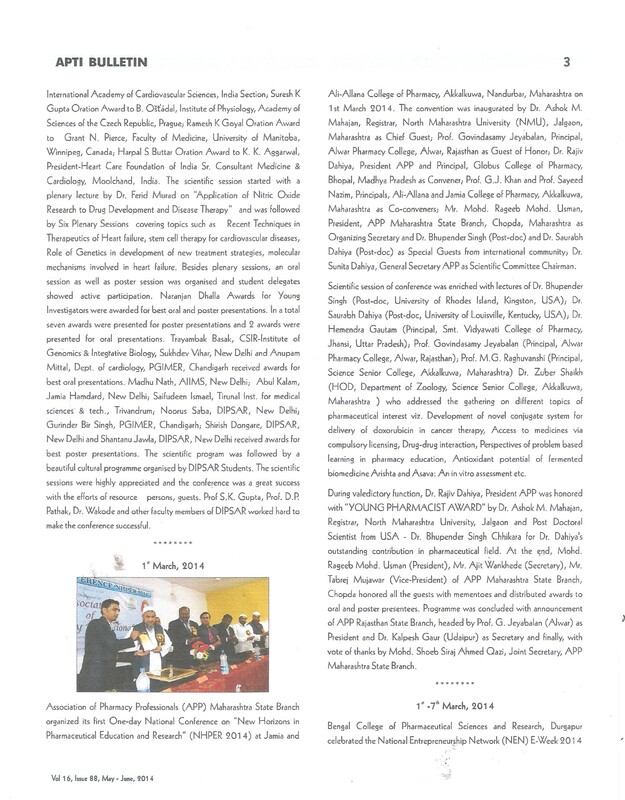 Tarsem Jain on ‘Generic Medicines in India’. 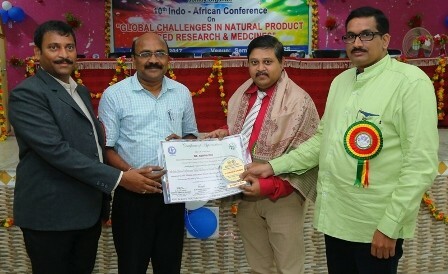 Conference was attended and papers were presented in ‘poster’ session by more than 250 delegates from different universities and institutions all over north India. 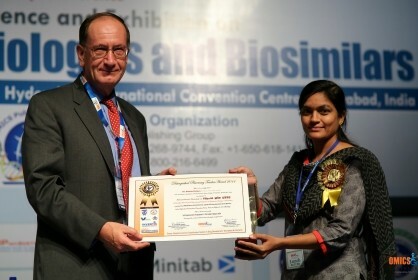 Dr. Poonam Piplani from University Institute of Pharmaceutical Sciences, Punjab University, Chandigarh; Dr. Manjinder Singh Gill from National Institute of Pharmaceutical Education and Research, Mohali; Dr. Balbir Singh from Department of Pharmaceutical Sciences, Guru Nanak Dev University, Amritsar; Dr. Gulshan Bansal from Department of Pharmaceutical Sciences and Drug Research, Punjabi University, Patiala were the ‘Judges’ for the scientific poster session during the APP 1st Indo-Korean Conference. 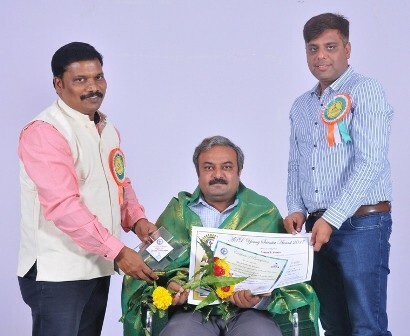 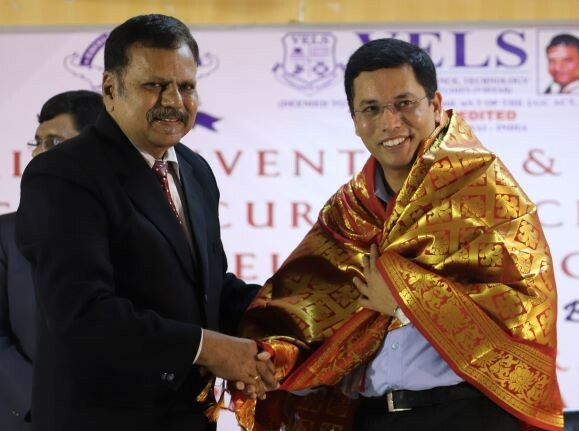 During the valedictory function, Sh. 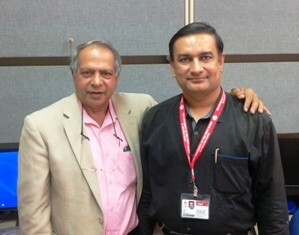 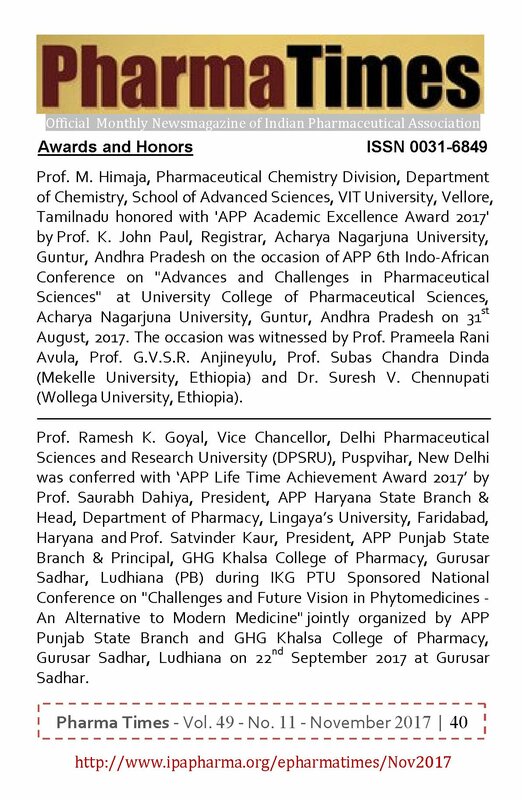 Tarsem Jain, Editor-in-Chief, Pharma Pramarsh; Dr. Satvinder Kaur, Principal & Professor, G.H.G. 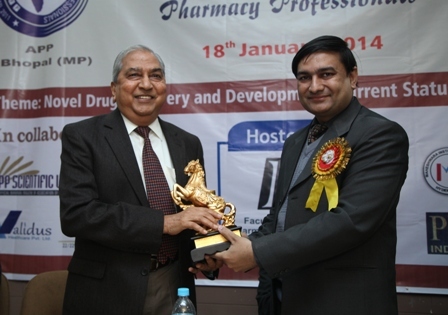 Khalsa College of Pharmacy, Ludhiana and Mr. Manjit Singh Gill, President, Governing Council, G.H.G. 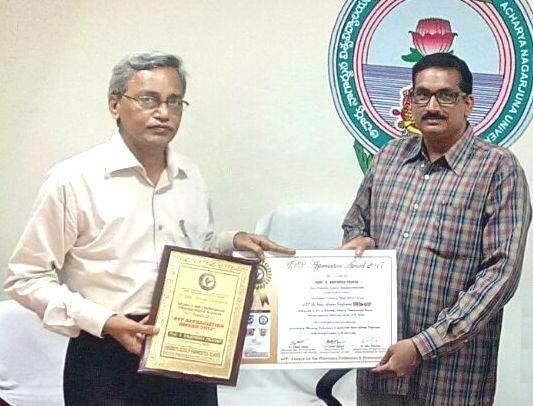 Khalsa College were conferred with ‘APP Appreciation Awards’. 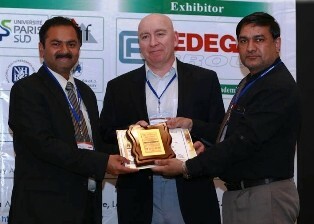 Mr. Sahil Sharma from Guru Nanak Dev University, Amritsar; Mr. Talwinder Singh and Ms. Arshdeep Kaur from G.H.G. 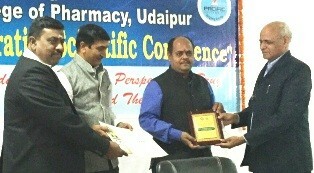 Khalsa College of Pharmacy, Ludhiana bagged 1st, 2nd and 3rd positions in poster presentation competition. 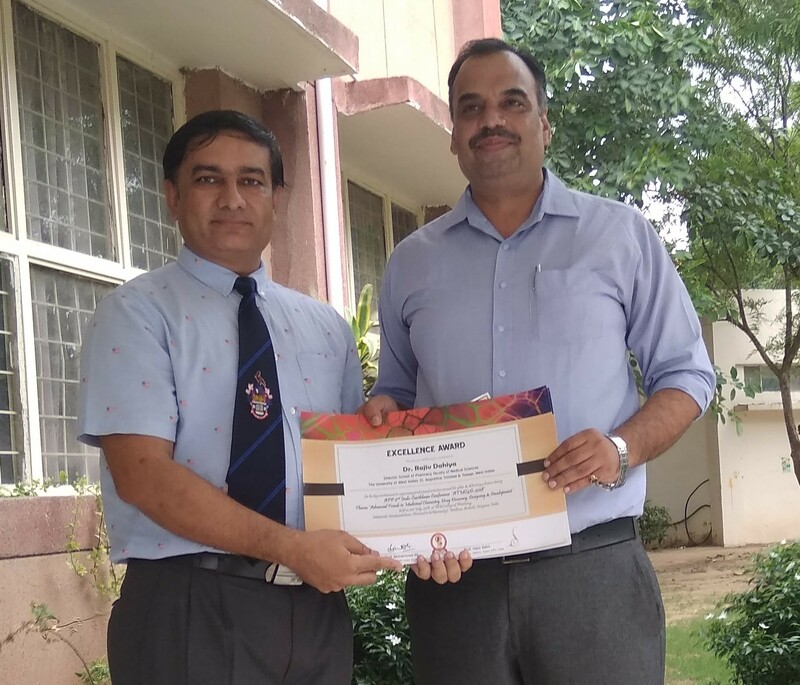 Also, consolation prizes were given to Ms. Jasmeen Kaur (Punjabi University, Patiala) and Mr. Rajneet Kaur Khurana (Punjab University, Chandigarh). 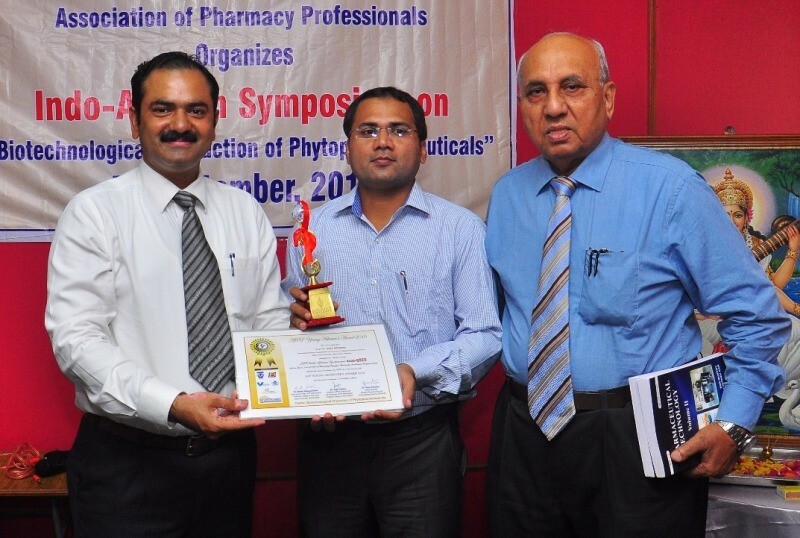 Association of Pharmacy Professionals (APP) Punjab State Branch organized National Conference on ‘Innovations and Challenges in Pharmaceutical Research’ on 20th October, 2016 at G.H.G. 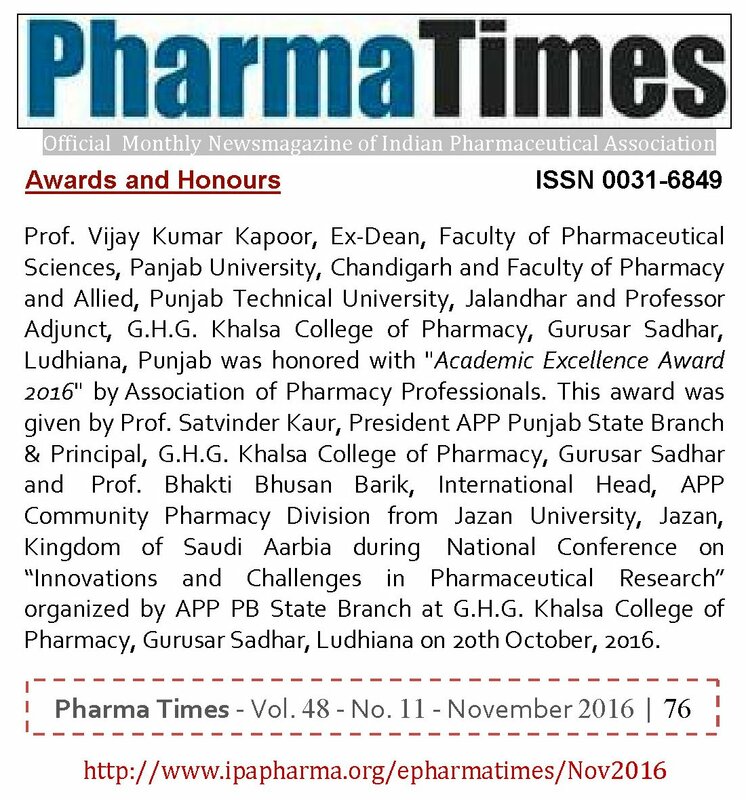 Khalsa College of Pharmacy, Gurusar Sadhar, Ludhiana, Punjab. 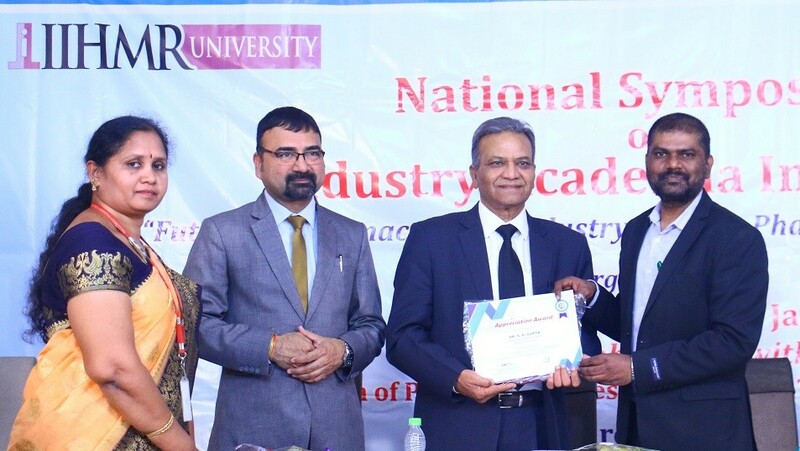 During conference, Prof. P. Rama Rao, Dean, Academic Affairs, Central University of Punjab, Bathinda, Punjab acted as ‘Chief Guest’; Mr. Manjit Singh Gill, President, Governing Council, G.H.G. 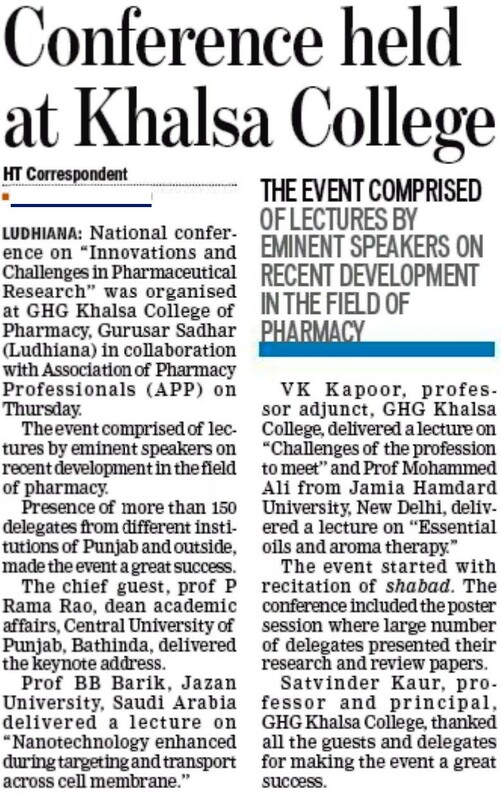 Khalsa College, Ludhiana, Punjab acted as ‘Patron’; Prof. Satvinder Kaur, President, APP Punjab State Branch and Principal, G.H.G. 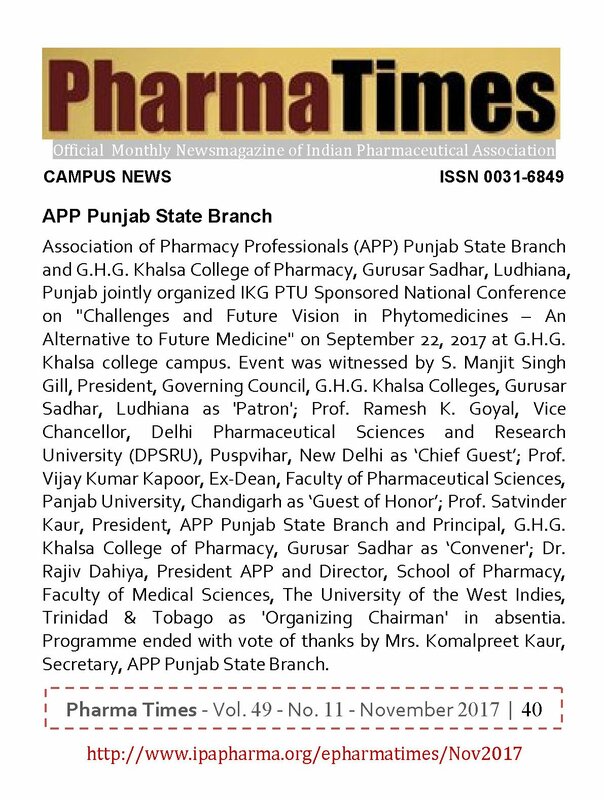 Khalsa College of Pharmacy, Ludhiana, Punjab acted as ‘Organizing Secretary’; Dr. Rajiv Dahiya, President, Association of Pharmacy Professionals (APP) and Director, School of Pharmacy, Faculty of Medical Sciences, The University of the West Indies, Trinidad and Tobago acted as ‘Organizing Chairman’ in absentia. 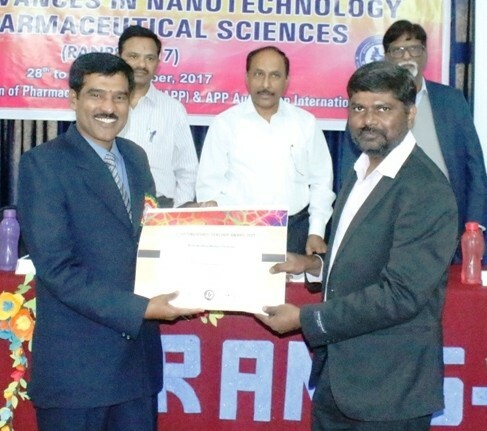 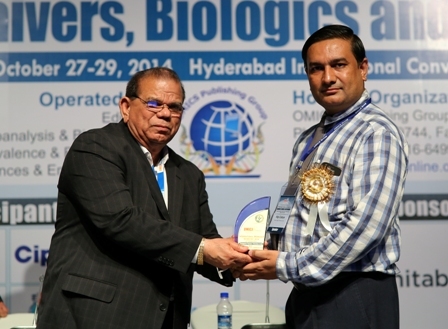 Scientific session was initiated with lecture of Prof. Bhakti Bhusan Barik from Jazan University, Kingdom of Saudi Arabia, who addressed the gathering on ‘Nanotechnology – Enhanced Drug Targeting and Transport Across Cell Membrane’. 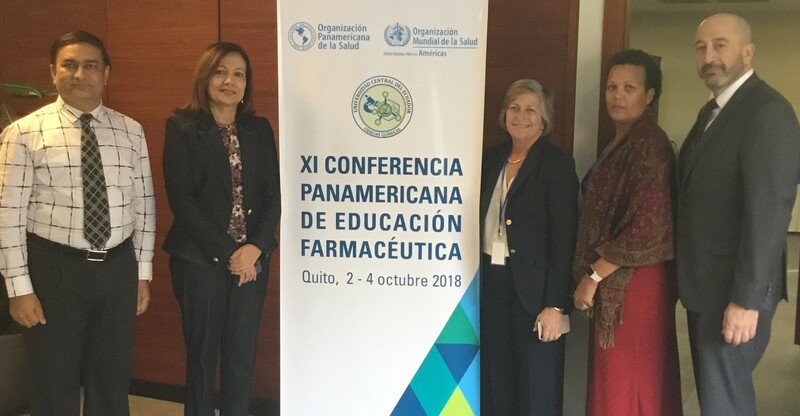 Prof. Barik told that the real bottleneck associated with systemic drug administration is the lack of target-specific affinity toward a site of action and transport across cell membrane, resulting in systemic toxicity and many side effects as well as higher dosage requirement for therapeutic efficacy. 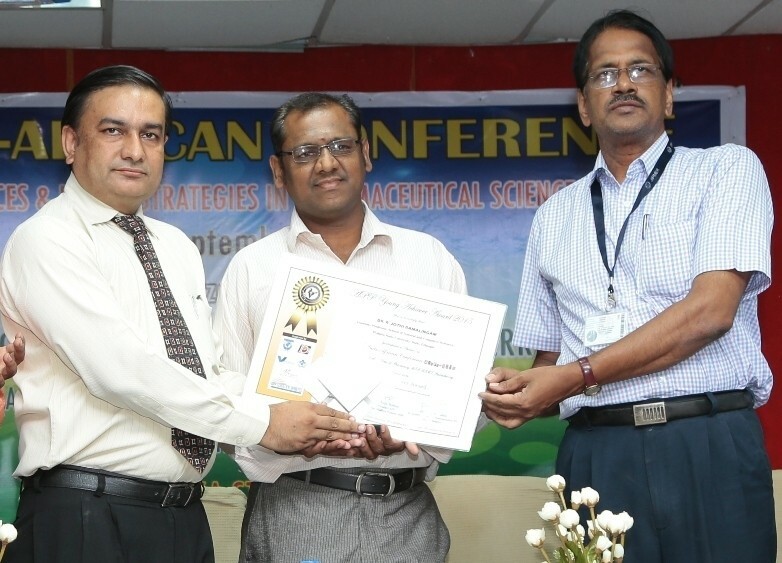 Second lecture was delivered by Prof. Mohammad Ali from Jamia Hamdard University, New Delhi, who focussed on ‘Essentials Oils and Aroma Therapy’. 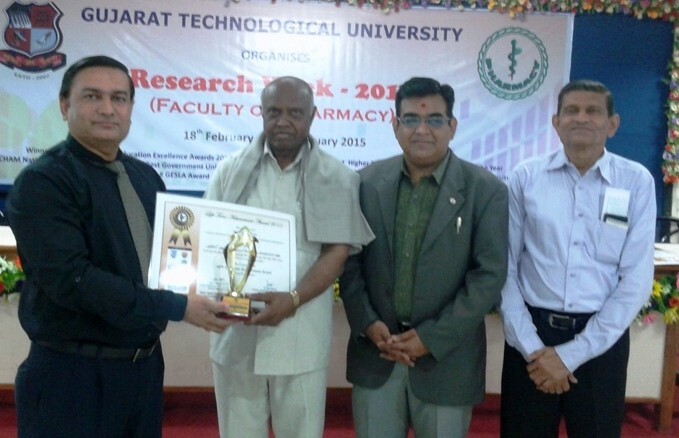 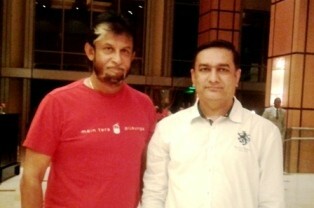 Prof. Ali told that aromatherapy uses pure essential oils to relax, balance and rejuvenate body, mind and spirit. 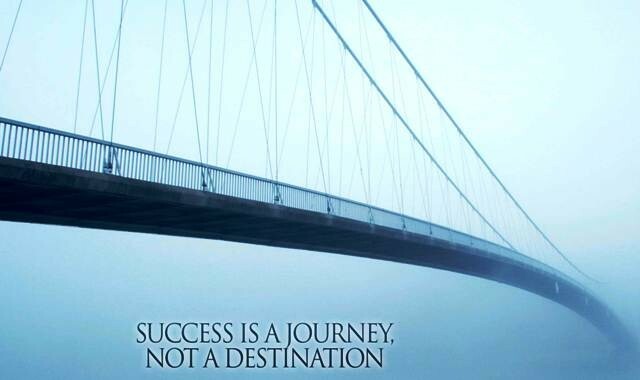 Different type of aromatherapies include cosmetic, massage, bath, compress, lotion, perfume and olfactory aromatherapies. 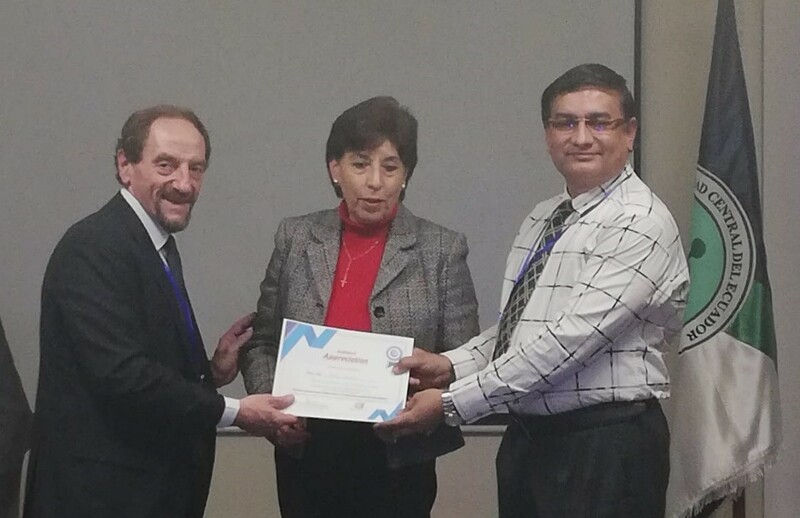 Scientific session was terminated with lecture of Prof. Vijay Kumar Kapoor, Ex-Dean, Faculty of Pharmaceutical Sciences, Panjab University, Chandigarh, on ‘Challenges of the Profession to Meet’. 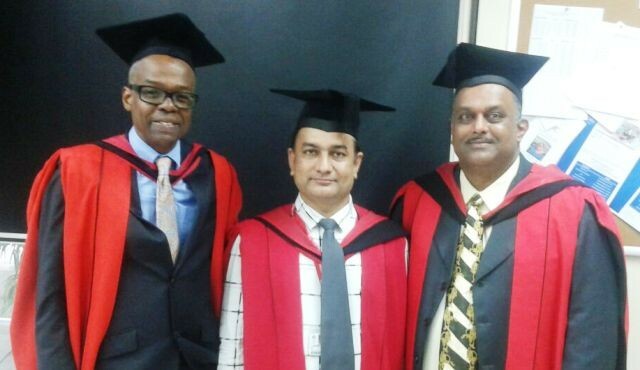 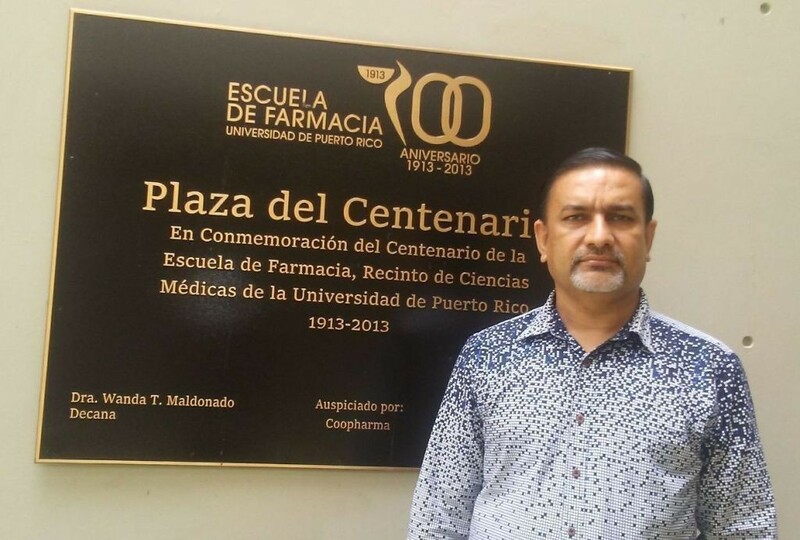 Prof. Kapoor told that till early thirties, the number of institutions imparting pharmacy undergraduate and postgraduate courses were thirty-seven. 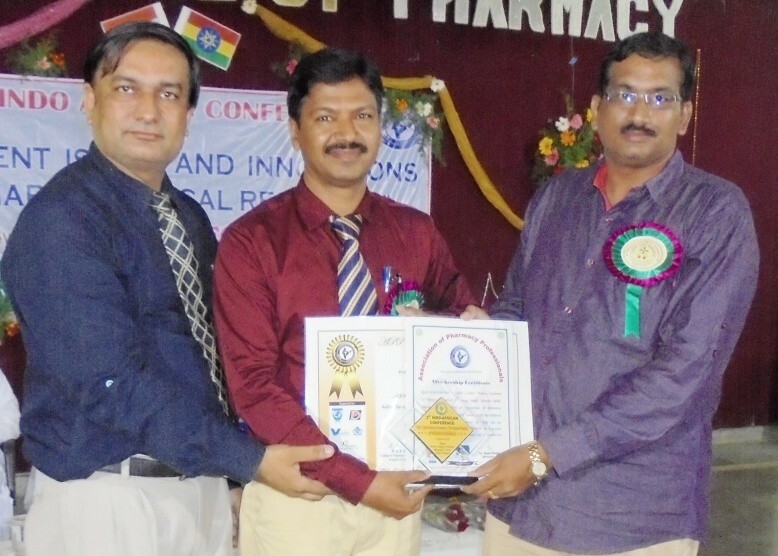 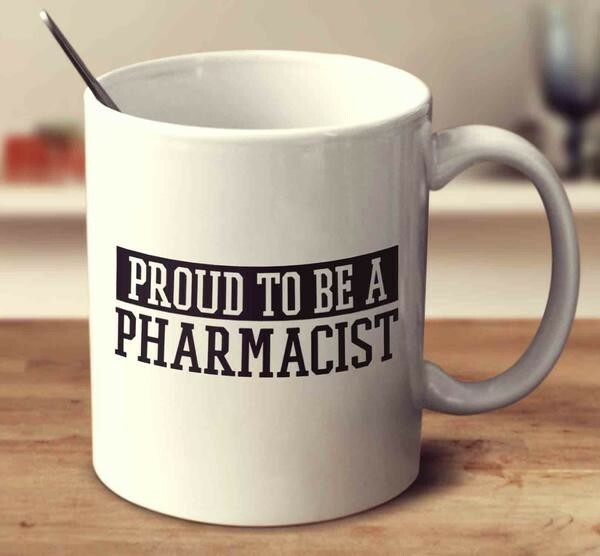 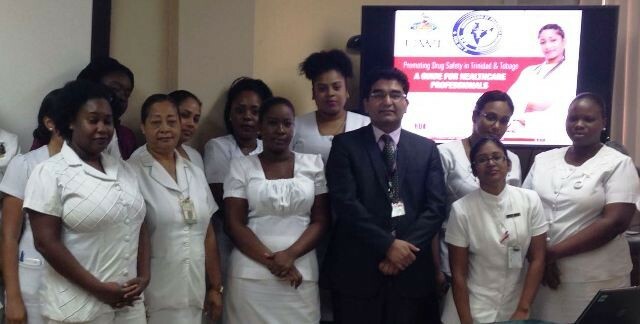 After this, there has been a tremendous growth in the number of pharmacy institutions. 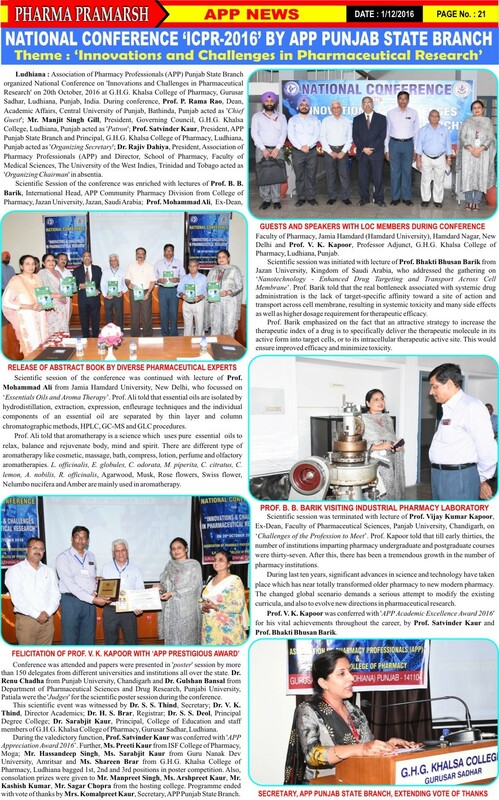 Conference was witnessed by Dr. S. S. Thind, Secretary; Dr. V. K. Thind, Director Academics; Dr. H. S. Brar, Registrar; Dr. S. S. Deol, Principal Degree College; Dr. Sarabjit Kaur, Principal, College of Education; Dr. Renu Chadha from University Institute of Pharmaceutical Sciences, Punjab University, Chandigarh; Dr. Gulshan Bansal from Department of Pharmaceutical Sciences and Drug Research, Punjabi University, Patiala; Mrs. Komalpreet Kaur, Secretary, APP Punjab State Branch and staff/students of hosting college. 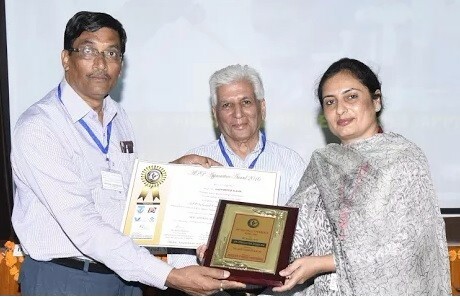 During the valedictory function, Prof. Satvinder Kaur was conferred with ‘APP Appreciation Award 2016’. 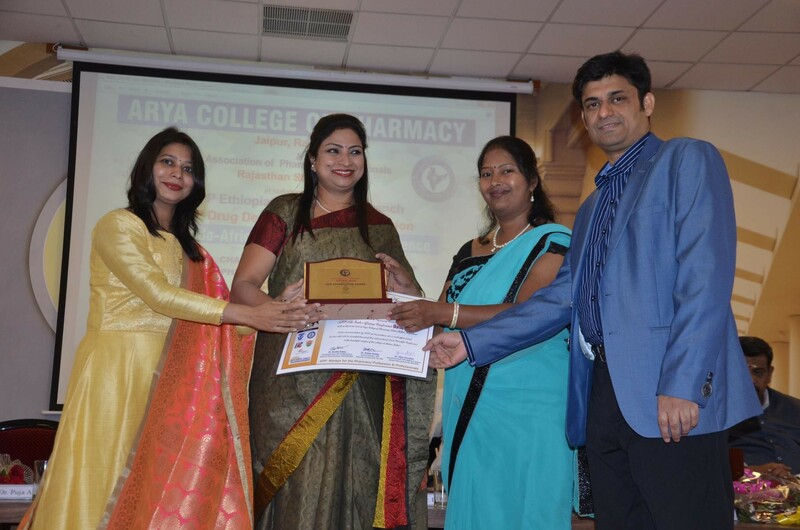 Further, Ms. Preeti Kaur from ISF College of Pharmacy, Moga; Mr. Hassandeep Singh, Ms. Sarabjit Kaur from Guru Nanak Dev University, Amritsar and Ms. Shareen Brar from G.H.G. 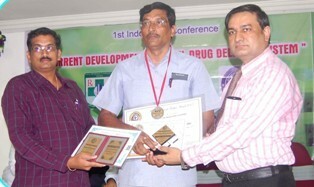 Khalsa College of Pharmacy, Ludhiana bagged 1st, 2nd and 3rd positions in poster competition. 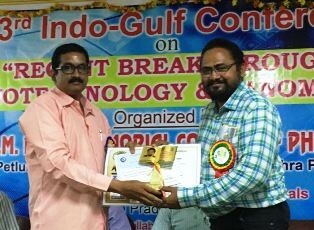 Also, consolation prizes were given to Mr. Manpreet Singh, Ms. Arshpreet Kaur, Mr. Kashish Kumar, Mr. Sagar Chopra from the hosting college. 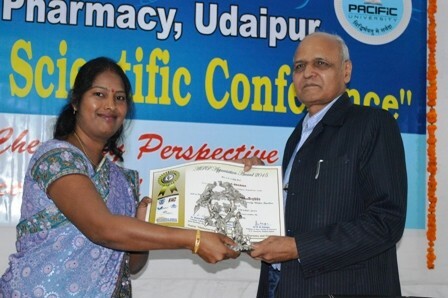 Programme ended with vote of thanks by Mrs. Komalpreet Kaur, Secretary, APP Punjab State Branch. 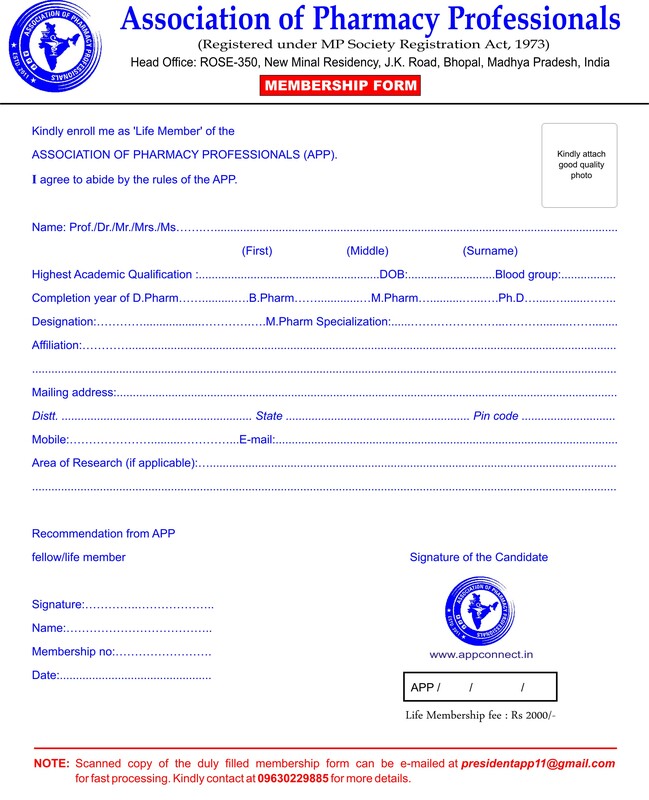 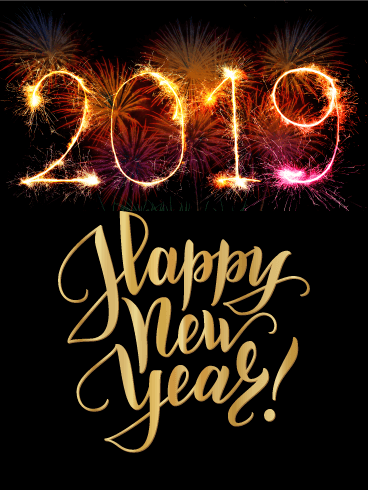 Association of Pharmacy Professionals (APP) Punjab State Branch and G.H.G. 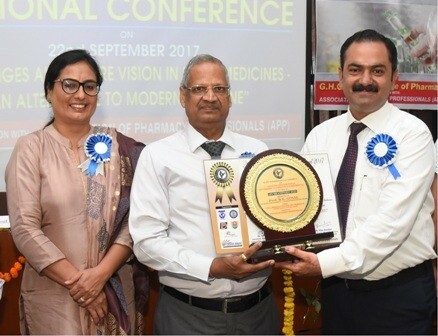 Khalsa College of Pharmacy, Gurusar Sadhar, Ludhiana, Punjab jointly organized IKG PTU Sponsored National Conference on “Challenges and Future Vision in Phytomedicines – An Alternative to Future Medicine“on September 22, 2017 at G.H.G. 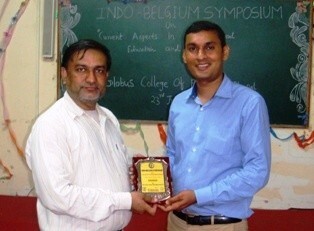 Khalsa college campus. 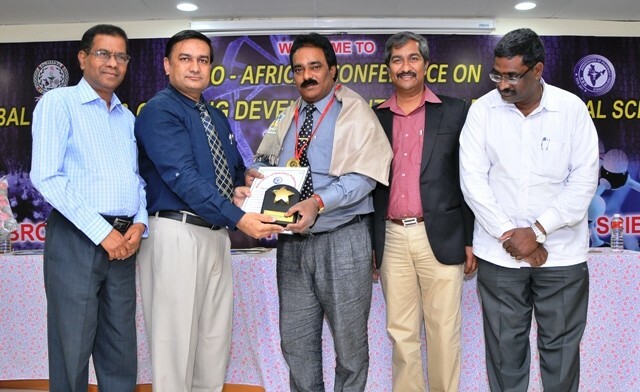 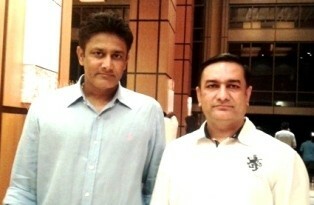 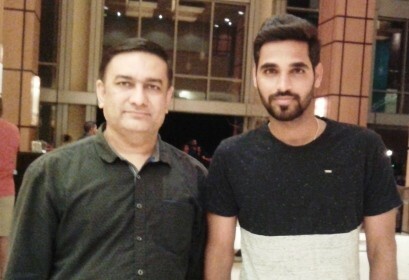 Event was witnessed by S. Manjit Singh Gill, President, Governing Council, G.H.G. 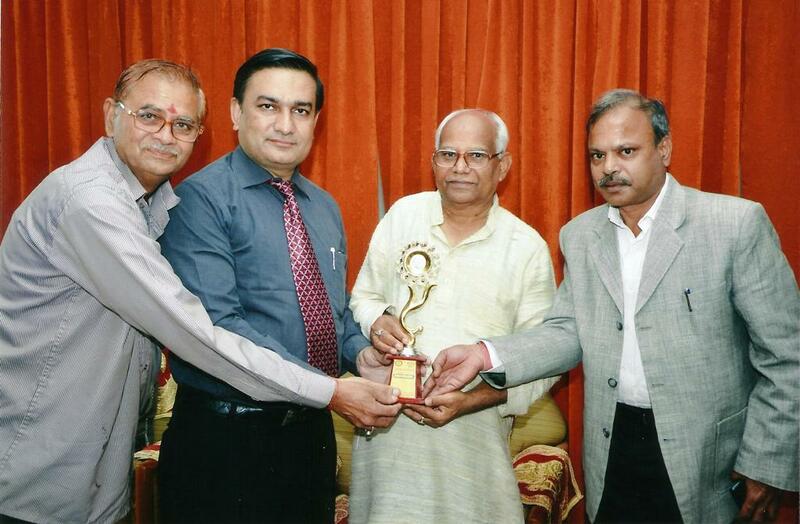 Khalsa Colleges, Gurusar Sadhar, Ludhiana as ‘Patron‘; Prof. Ramesh K. Goyal, Vice Chancellor, Delhi Pharmaceutical Sciences and Research University (DPSRU), Puspvihar, New Delhias ‘Chief Guest’; Prof. Vijay Kumar Kapoor, Ex-Dean, Faculty of Pharmaceutical Sciences, Panjab University, Chandigarh as ‘Guest of Honor’; Prof. Satvinder Kaur, President, APP Punjab State Branch and Principal, G.H.G. 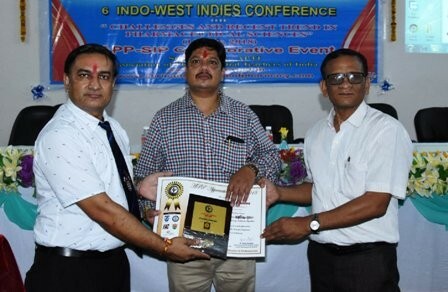 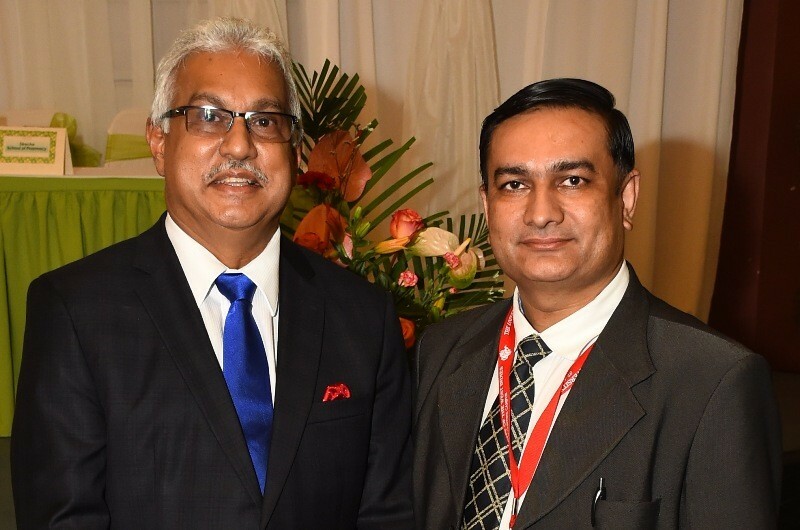 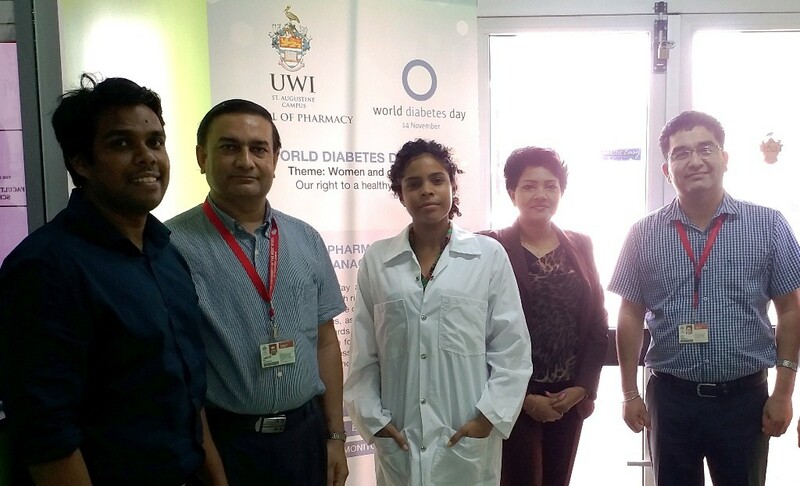 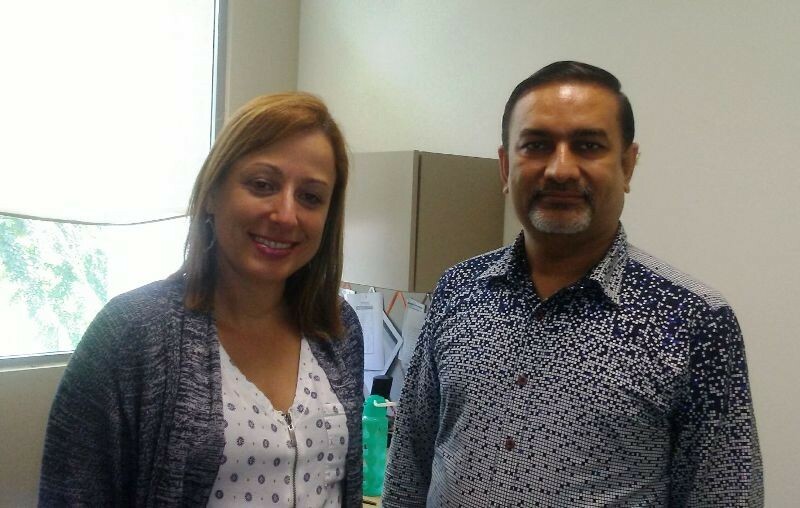 Khalsa College of Pharmacy, Gurusar Sadhar as ‘Convener‘; Dr. Rajiv Dahiya, President APP and Director, School of Pharmacy, Faculty of Medical Sciences, The University of the West Indies, Trinidad & Tobago as ‘Organizing Chairman‘ in absentia. 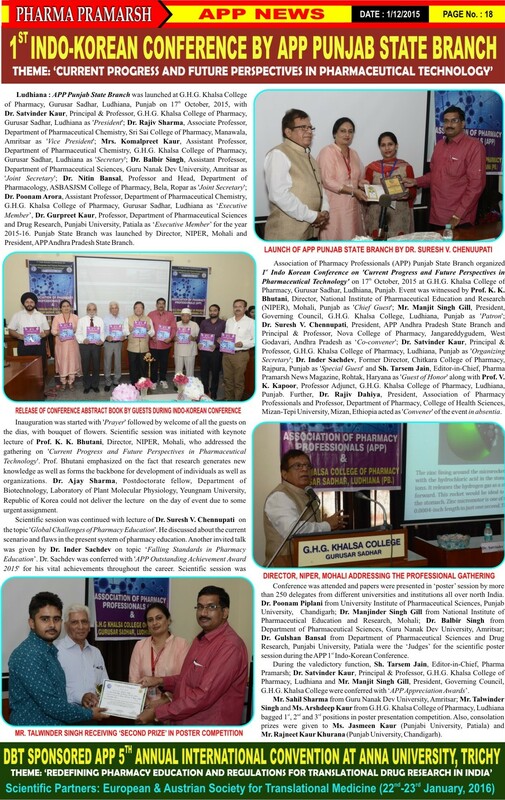 Programme started with release of conference CD by the chief guest, invited speakers and Presidents of APP Haryana and Punjab State Branches. 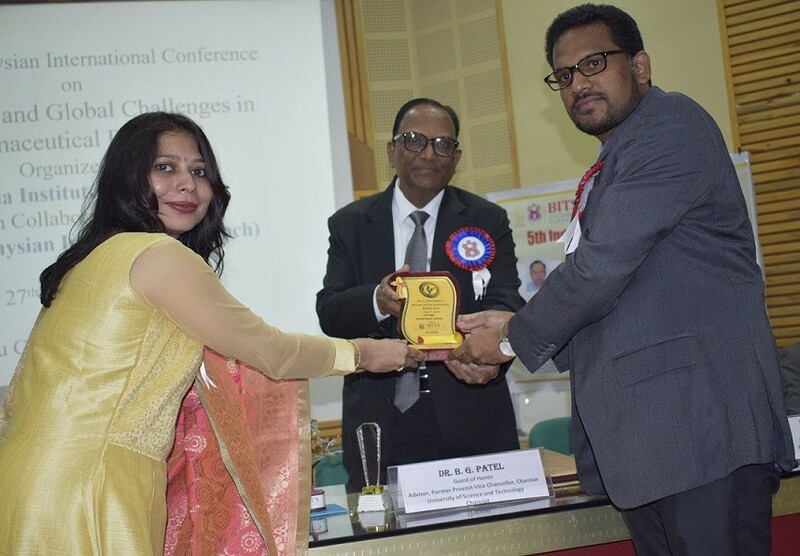 Scientific session of the conference was initiated with key note address by Prof. R.K. Goyal, Vice Chancellor, DPSRU, New Delhi. 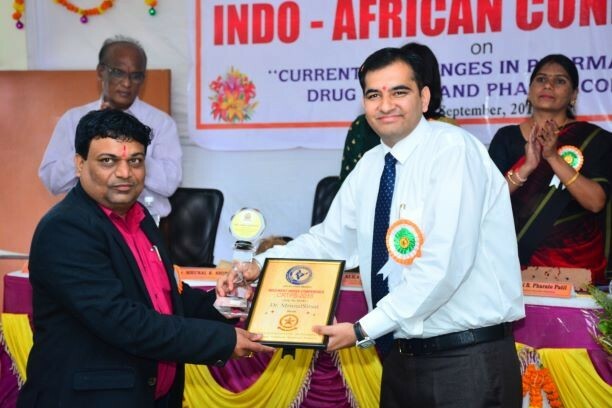 This was followed by informative lectures of pharmaceutical experts like Prof. Saurabh Dahiya, President, APP Haryana State Branch and Head, Department of Pharmacy, Lingaya’s University, Faridabad, Haryana on ‘Heavy Metal Poisoning and the Phytomedicinal Context’ and Dr. Gulshan Bansal, Assistant Professor, Department of Pharmaceutical Sciences and Drug Research, Punjabi University, Patiala, Punjab on ‘Shelf Life Issues, Challenges and Test Parameters for Phytomedicines’. 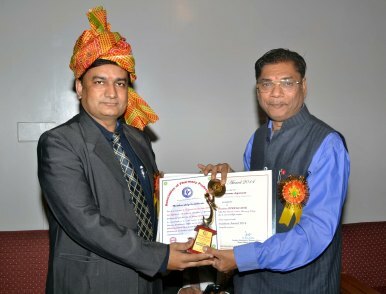 During the valedictory function, S. Manjit Singh Gill, President, Governing Council, G.H.G. 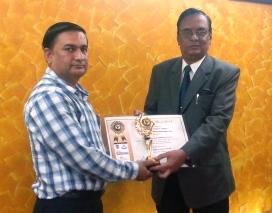 Khalsa Colleges and Dr. Satvinder Kaur, President, APP Punjab State Branch were conferred with ‘APP Appreciation Awards’. 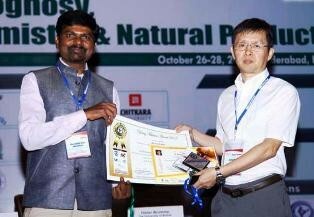 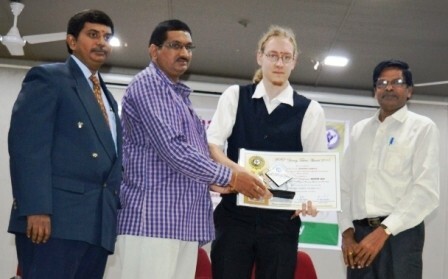 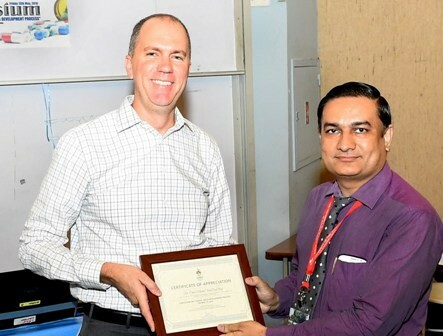 All the invited speakers of the scientific event were honored with ‘Certificate of Appreciations’. 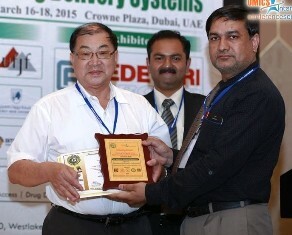 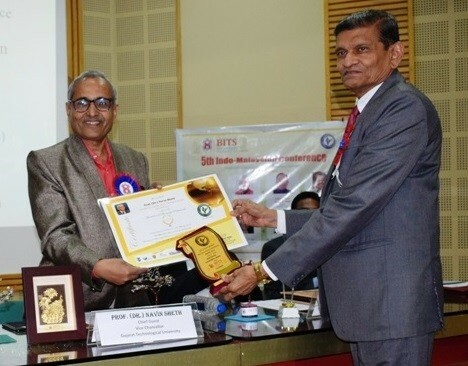 Further, Prof. Ramesh K. Goyal, Vice Chancellor, Delhi Pharmaceutical Sciences and Research University (DPSRU), Puspvihar, New Delhi was conferred with ‘APP Life Time Achievement Award 2017’ by Prof. Saurabh Dahiya, President, APP Haryana State Branch and Prof. Satvinder Kaur, President, APP Punjab State Branch during conference. 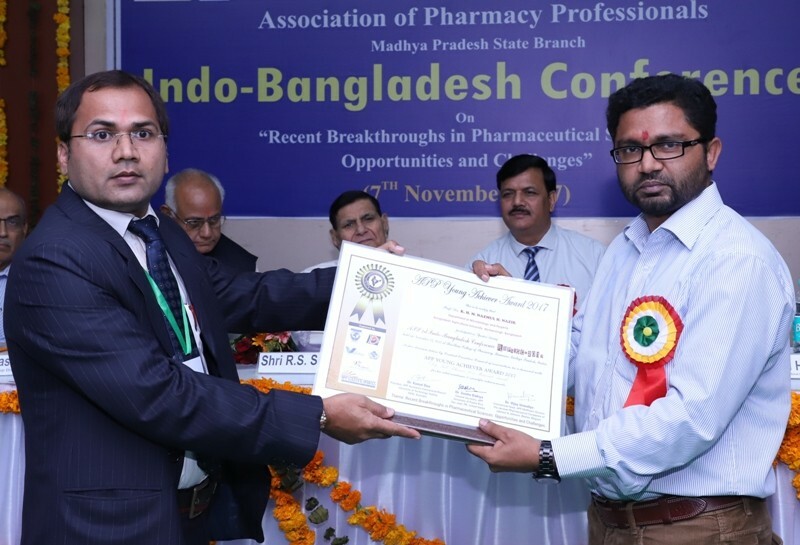 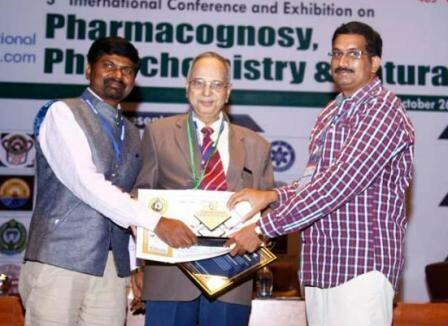 At the end, awards were distributed to poster presentees in diverse pharmaceutical sections. 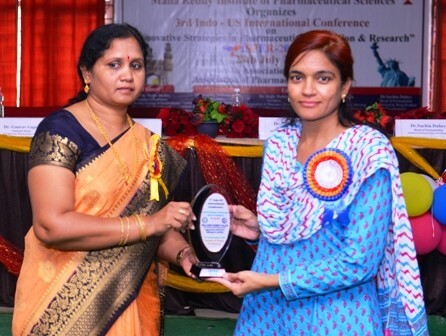 Programme ended with vote of thanks by Mrs. Komalpreet Kaur, Secretary, APP Punjab State branch.